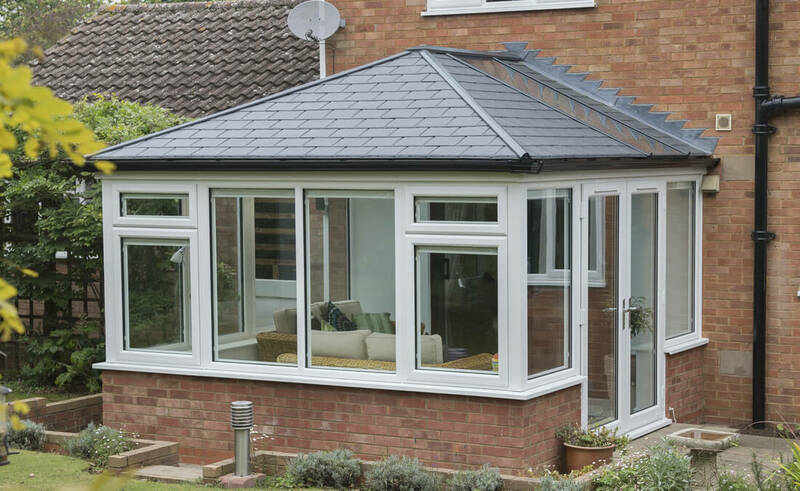 Fall back in love with your conservatory space, by choosing the UK’s most popular tiled replacement conservatory roofing option; the Guardian Warm Roof & the Ultraframe Ultraroof replacement roof. 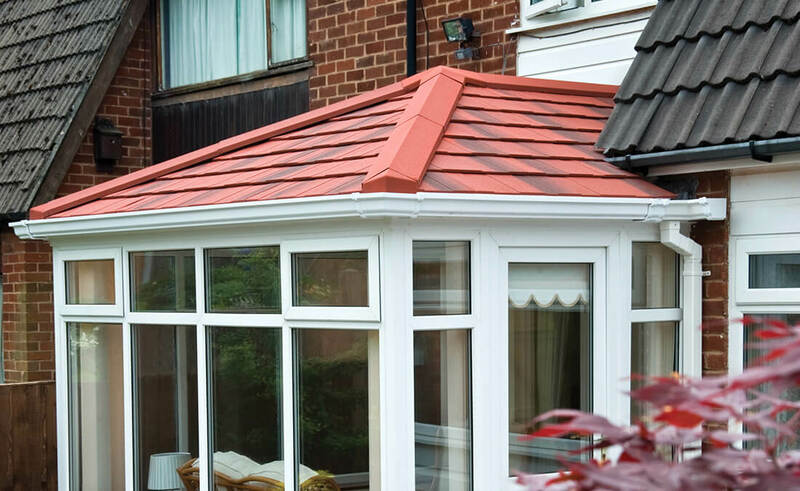 Utilizing exceptional thermal enhancing qualities, these unique tiled roofing systems allow homeowners to use their conservatory space all year round. 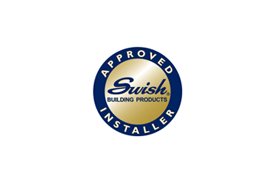 As Team Guardian Members, fully trained and qualified to install the 100% recyclable Guardian Warm Roof as well as the Ultraframe Ultraroof, we’re proud to offer the most advanced energy-efficient building systems available. 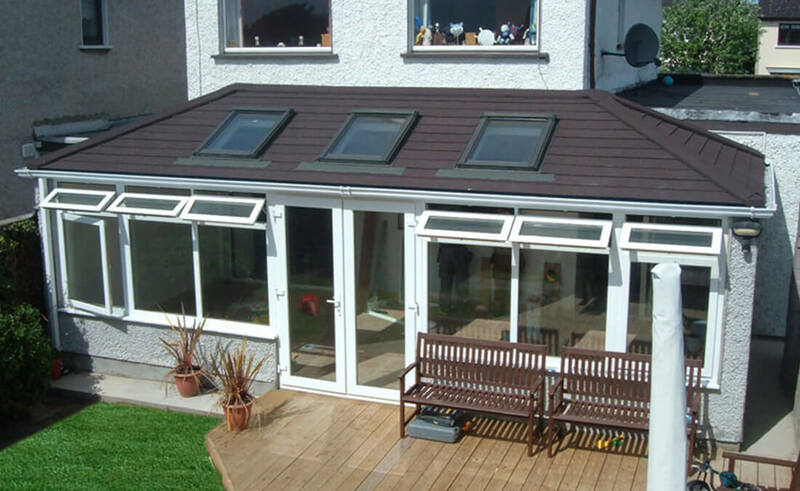 Keeping your family warm in the winter and cool in the summer months, these proactive roofing conservatory systems accommodate conservatory roof replacements and new build conservatories that will be able to be used all-year round. 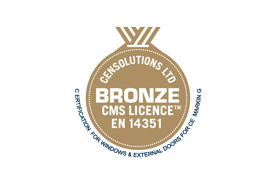 Approved by the Local Authority Building Control (LABC), these leading roofing systems utilize lightweight, ventilated roofs which proactively eliminate the chance of rot and condensation developing. 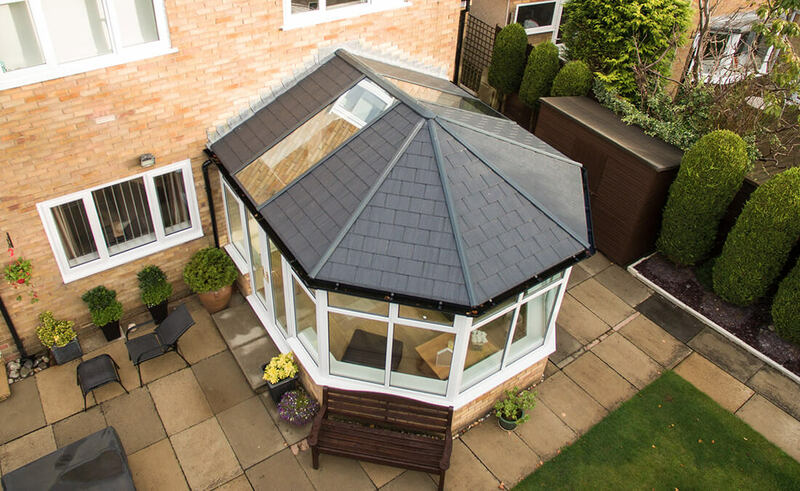 Providing a swift turn around, our expert installation team can complete either conservatory roof transformation in just a few days. 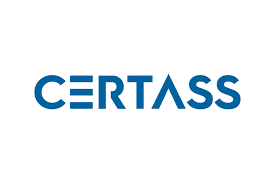 Exceedingly weatherproof & soundproof, these roofing systems have been tested & proven to retain and conserve energy; so much so, they can considerably reduce heating bills as well as your households carbon footprint. Not only are these unique & innovative roofing systems highly energy efficient, they’re superbly stylish too. For smooth and consistent aesthetics throughout your home, the various slate options can even be matched with your house tiles alongside a range of finishes; including brick, stone and timber. With a multitude of different slate colours to choose from, we’re confident you’ll find a finishing touch that truly fits your personality and style whilst remarkably increasing your properties curb appeal. Furthermore, at Seal-Lite we can also offer a beautiful choice of internal ceiling finishes to complete your new look; including merging tiles with stylish glazing panels, to access the best of both worlds. 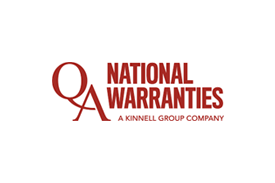 When you choose a tiled conservatory roof replacement from Seal-Lite, your comfort and security come first above all else – more often than not, security is the main reason conservatory roofs need to be replaced. ‘A’ grade fire rated, these remarkable roofing systems also have a superior life expectancy; unable to crack, split or break under pressure.